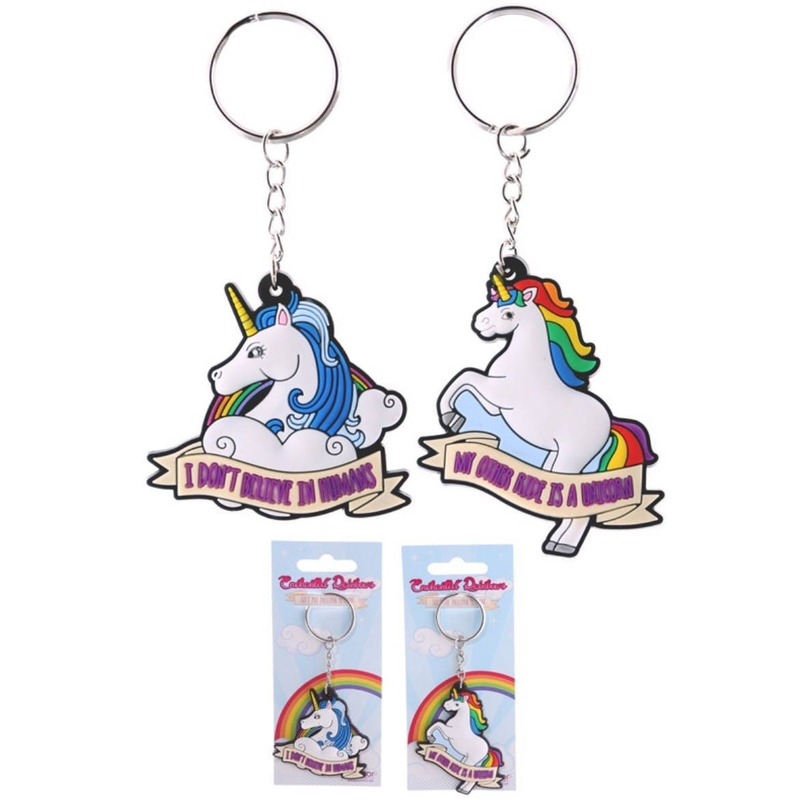 A cute Unicorn head Keyring, ideal as a small gift for a person who loves unicorns!! 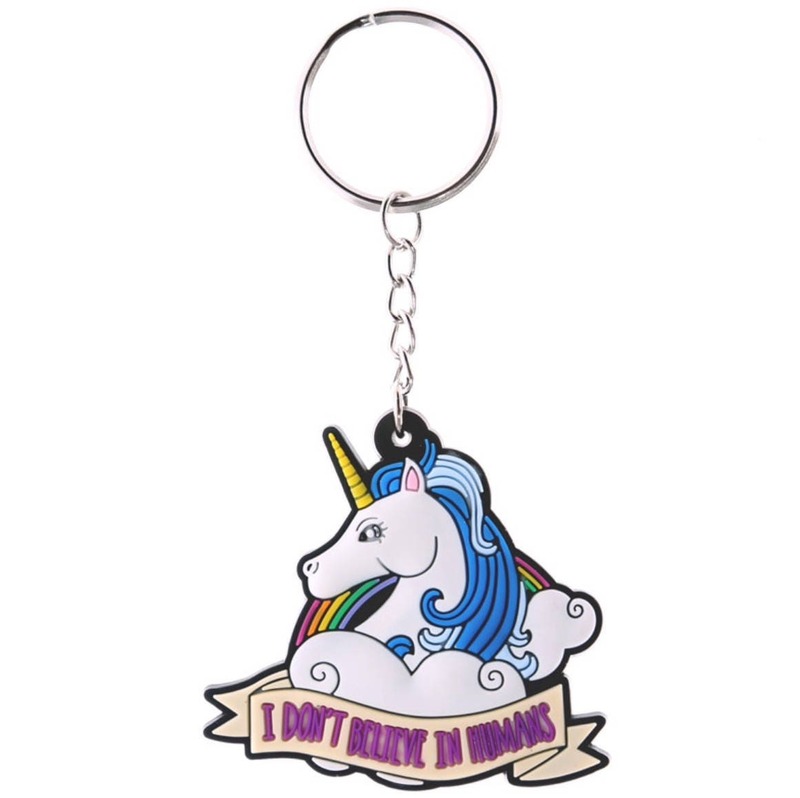 The unicorn has a blue mane and has a quote in a scroll which says "I don't believe in humans". Not suitable for children under 3 due to small parts that could choke.